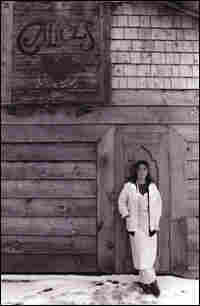 Making It Up as I Go Along Alice Brock, made famous in Arlo Guthrie's "Alice's Restaurant," believes in improvisation. 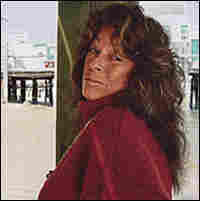 And it's a good thing, too — she knew nothing about running a restaurant when she opened her now legendary business. 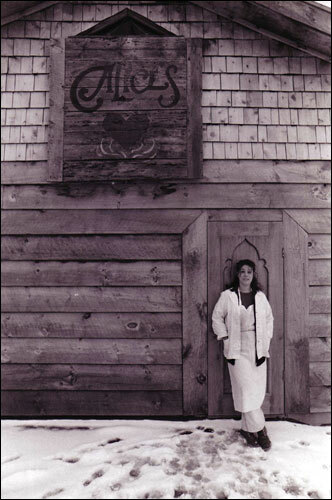 Alice Brock, owner of Alice's Restaurant — made famous in Arlo Guthrie's 1967 song and 1969 movie — stands outside of her restaurant in 1974. 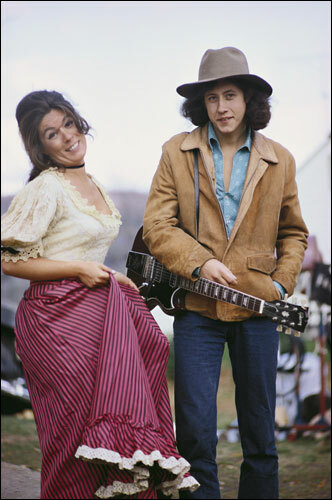 Brock and Arlo Guthrie take a break during the filming of Alice's Restaurant in 1968. Just because you have only six plates and three glasses is no reason why you can't invite 12 people to dinner. You can drink out of a jelly jar or a tin can. And there are lots of things you can use for plates — like hubcaps lined with tin foil. I once made a steak dinner in an apartment that had only one knife. We used scissors. It was quite memorable. I believe in improvising. It's exciting; it's an adventure, a challenge, and a chance to be creative. Not being locked into a "plan" or a prescribed way of doing something leaves room for all kinds of wonderful stuff to happen. You don't always have to follow the recipe. I always use more butter, eggs and garlic than a recipe calls for, and the only unfortunate change this brings about is in my size. I didn't study how to own and run a restaurant. I pretty much made it up as I went along. I was swept up with the idea — the fantasy — of having a restaurant, the chance to make something happen. It never occurred to me I couldn't do it; I only felt that way after I opened up, but by then it was too late. And of course making money at it was way down on the list of what mattered, and that allowed me the freedom to focus on creating something really wonderful. I had no idea of how anything was "supposed" to be. I just barreled ahead, discovering all kinds of possibilities and making plenty of mistakes. And those are really great opportunities to learn. When something works, well, that's that. But when it doesn't, I have to think about why, and I have to come up with some other way that will make it work. Mistakes lead to discovery and that can produce delight, like cream of salt and pepper soup. I made it in a pinch once and believe me it's good. You should try it! In my restaurant I rarely hired people who were trained — that wasn't important. As long as you could take down an order, treat people well and give them an experience they would remember, I didn't care if you were dressed up as a piece of broccoli. In fact it was the oddity that brought richness to everyone. Some have said it was too bad my restaurant was a failure. Why, because it went bankrupt? I came away richer than any restaurant owner could possible dream of, just not in terms of money. My belief in improvising was confirmed when I closed my last restaurant 29 years ago. I just walked away. I didn't make any plans; I left everything behind and came to live in Provincetown, where I'd always wanted to live and paint. I'm still making it up as I go along. I believe there is no one way to do things. The way that works for me is the way that works right now. But that might change tomorrow. 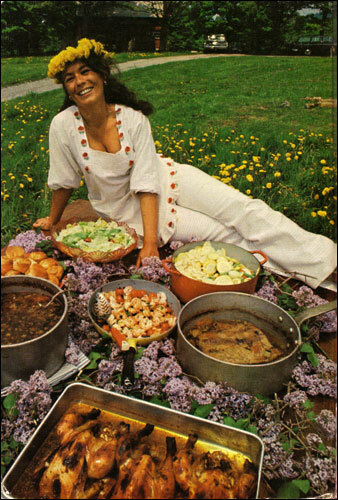 Brock, pictured in 1969, in Alice's Restaurant Cookbook. One day, Alice Brock saw a tour bus coming up the drive to her restaurant and she suddenly remembered she was supposed to feed 40 people a full lunch. She didn't have any soup made, so she improvised this Cream of Salt and Pepper Soup on the spot. Brock says, "Soup is any kind of food cooked in enough liquid to make eating it impossible with a fork."